More popular spots where job seekers and recruiters are meeting up on LinkedIn. (Not sure how or why to use LinkedIn Groups on your job search? LinkedIn lets you join a maximum of 50 groups. What many people don't know is that LinkedIn also lets you join a maximum 50 subgroups. One tip: whether you join the full 100 groups and subgroups or not, only subscribe to email updates for the few groups that really matter to you most. These are top 50 LinkedIn subgroups today, ranked by number of members. With each group I've included the official description, which is often not very descriptive at all or just a long list of keywords, so click through to get a better impression. Linked:HR, largest group on LinkedIn is also the #1 group for recruiters! Star:Engineer has been designed to assist these recruiters in finding talent in specific fields. This is THE group where Engineers have the best chance of finding job opportunities on LinkedIn. A Subgroup specialized for Israeli 40+ (Over 40) “Old and Wise” jobs seekers that wants to enlarge the diverse of employment opportunities, Employees who knows of a position and for recruiters that knows the benefits of hiring 40+ employees. Join Group for Business, Social, HR & Career Networking – & For Discussions, Job Search & Job Posts in Marketing, Sales & Business Development Streams across the Globe. The Subgroup is specialized for Israeli Software/ Algorithm Development jobs seekers that wants to enlarge the diverse of employment opportunities, Employees who knows of a position and for recruiters in Israel. New York Careers, Networking and Jobs – 1,741 members – a subgroup of Job Postings and Job Boards! This group is for Hiring & Recruiting Professionals ONLY. No Job Seekers are allowed (unless you are looking for a job in the HR field). Discuss the latest news and trends in HR and Recruiting. Join this group to interact with other professionals in the field. A Global Subgroup Unites Israeli High Tech Research And Development (R&D) Managers with Worldwide experts to share Professional experience and for Job seeking. USA West – CA WA NV UT AZ ID MT WY CO NM OR AK HI – 2,029 members – a subgroup of Job Postings and Job Boards! The subgroup is specialized for Sales, Marketing job / career seekers that wants to enlarge the diverse of employment opportunities, Employees who knows of a position / jobs and for Israeli HR / Recruiters/ headhunters. We are very excited to announce the creation of “Just Sales and Marketing Jobs” subgroup. It was formed to make your job search experience quicker! Join the group right now to view newly posted jobs. We will be adding Sales and Marketing jobs regularly. Recruiters may now post jobs here. This group helps you find a job online and covers Executive, General & Senior Management, Administrative Assistants. Discuss the latest news, techniques and online trends to help you find that dream job. Join this group to learn from the professionals in online recruiting and hiring on how to use online social networks in your job search. Interact with recruiters as well as other job seekers to get hired for any job in any industry. This group helps you find a job online and covers Jobs in Management. 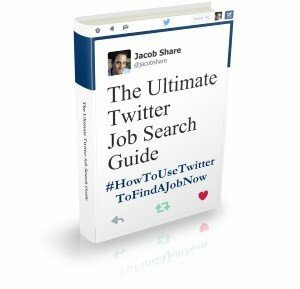 Discuss the latest news, techniques and online trends to help you find that dream job. Join this group to learn from the professionals in online recruiting and hiring on how to use online social networks in your job search. Interact with recruiters as well as other job seekers to get hired for any job in any industry. The subgroup is specialized for Israeli Elite (VIP) Jobs seekers that wants to enlarge the diverse of employment/ career opportunities. NOTE !!! YOU MAY JOIN THE SUBGROUP ONLY BY A DIRECT INVITATION FROM THE GROUP MANAGERS. 100K+ Jobs, Careers and Networking – 2,973 members – a subgroup of Job Postings and Job Boards! This group helps you find a job online and covers the Southern United States. Discuss the latest news, techniques and online trends to help you find that dream job. Join this group to learn from the professionals in online recruiting and hiring on how to use online social networks in your job search. Interact with recruiters as well as other job seekers to get hired for any job in any industry. Linked:HR, largest group on LinkedIn is also the #1 group for recruiters! Star:Leadership has been designed to assist these recruiters in finding talent in specific fields. This is THE group where Executives have the best chance of finding business opportunities on LinkedIn. This group helps you find a job online and covers the Midwestern United States. Discuss the latest news, techniques and online trends to help you find that dream job. Join this group to learn from the professionals in online recruiting and hiring on how to use online social networks in your job search. Interact with recruiters as well as other job seekers to get hired for any job in any industry. This group helps you find a job online and covers the Western United States. Discuss the latest news, techniques and online trends to help you find that dream job. Join this group to learn from the professionals in online recruiting and hiring on how to use online social networks in your job search. Interact with recruiters as well as other job seekers to get hired for any job in any industry. 1. Do you need a job? 2. Got a job post you want to discuss further? 3. Need advice on your search? 4. Got tips for others to improve their search? This is an open access site, meaning as long as you are a member of the Lean Six Sigma Group, this group is open for anyone. Search & Find an Executive Job in Israel – 4,510 members – a subgroup of Search & Find a Job in Israel. The subgroup is specialized for Israeli Sr. Managers/ Executives Jobs seekers that wants to enlarge the diverse of employment/ career opportunities. Welcome to the group: Executives & Recruiters. The subgroup is specialized for High-Tech jobs seekers that wants to enlarge the diverse of employment opportunities, Employees who knows of a position and for recruiters in Israel. This group helps you find a job online and covers the Middle East. Discuss the latest news, techniques and online trends to help you find that dream job. Join this group to learn from the professionals in online recruiting and hiring on how to use online social networks in your job search. Interact with recruiters as well as other job seekers to get hired for any job in any industry. Star:HR Career Network is dedicated Human Resources career networking. It is a subgroup of Linked:HR, the largest group on LinkedIn and the component of the Star:Performer Career Network galaxy. Star:Performer is an important initiative whose purpose is to DRAMATICALLY SPEED UP THE RECRUITMENT PROCESS THROUGH LINKEDIN GROUPS. This initiative is led by Jay Kraker, Chief Evangelist of Star:Performer, Olivier Taupin, who manages a hundreds of groups and subgroups on LinkedIn, including Linked:HR, the #1 LinkedIn group worldwide, and a team of Chief Evangelists representing more than 500,000 LinkedIn Members. 1) Recruiters are interested in Stars, not job seekers — They prefer LinkedIn groups focusing on expertise, not groups parking the unemployed. 2) Implementation is everything! The Star:Performer process includes training and coaching to explain to both recruiters and candidates how they can quickly and efficiently connect to discuss RELEVANT positions. After joining Star:HR we invite you to join all Groups of the Star: galaxy, which are relevant to your expertise. An exhaustive list is provided in the welcome message. You can also search for “Star” and your field of expertise in Group Search (please beware of the imitators!). By joining any of the Star: groups, you benefit from the Star:Performer unique processes to connect quickly and efficiently with relevant recruiters or candidates. : We provide detailed recruiting and job seeking presentations for both job seekers and recruiters. Recruiters are coached by dedicated Star:Performer Adviser on how to find the right candidates in the Star:Career Network galaxy. Job seekers receive appropriate training on how to read recruiters expectations and how to engage the right recruiters efficiently. We are looking forward to helping you in networking with recruiters or candidates! If you liked this article, you should definitely see our Top 60 LinkedIn Groups for Job Seekers and Recruiters. 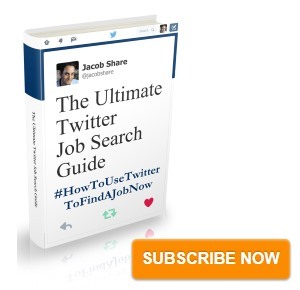 Subscribe to JobMob via RSS or email and follow me on Twitter for more LinkedIn job search resources. This list is AWESOME! I’ll find a way to reference it on my website soon, thanks for putting it together!